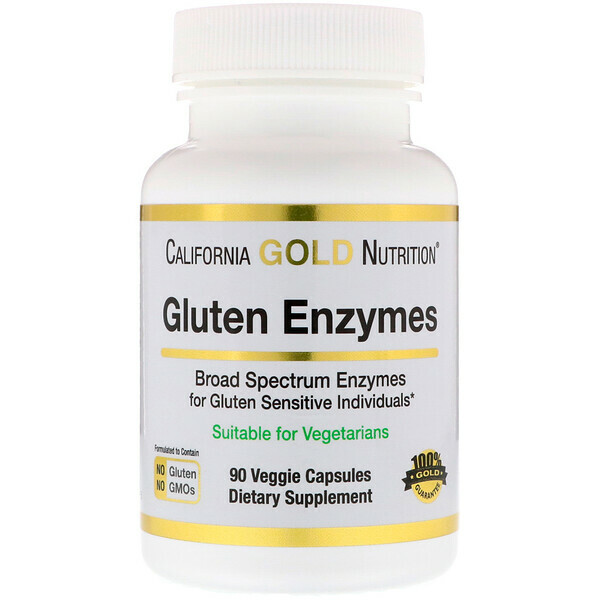 Gluten Enzymes are a blend of enzymes formulated to help break down gluten, a substance found in cereal grains such as wheat, which can cause digestive discomfort for gluten sensitive individuals. 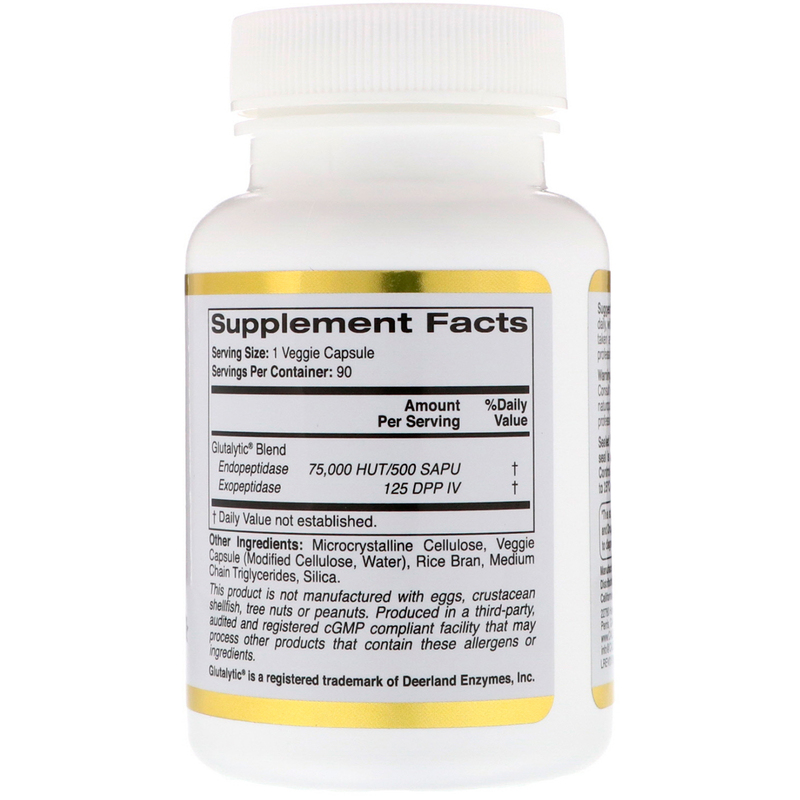 This unique proteolytic enzyme blend breaks down gluten proteins by targeting two peptide bond pathways, one internal and one external, which makes this blend superior to traditional gluten enzymes. California Gold Nutrition Gluten Enzymes feature Glutalyc®, a patented blend manufactured in the USA by Deerland Enzymes and undergoes multiple stages of Quality Control. Take 1 veggie capsule daily, with meals containing gluten. Best when taken as directed by a qualified healthcare professional. Microcrystalline Cellulose, Veggie Capsule (Modified Cellulose, Water), Rice Bran, Medium Chain Triglycerides, Silica. This product is not manufactured with eggs, crustacean shellfish, tree nuts, peanuts. Produced in a third-party, audited and registered cGMP complaint facility that may process other products that contain these allergens or ingredients. Sealed for your protection. Do not use if seal is missing or broken. Best stored at Controlled Room Temperature (CRT) 20°C to 25°C (68°F to 77°F).